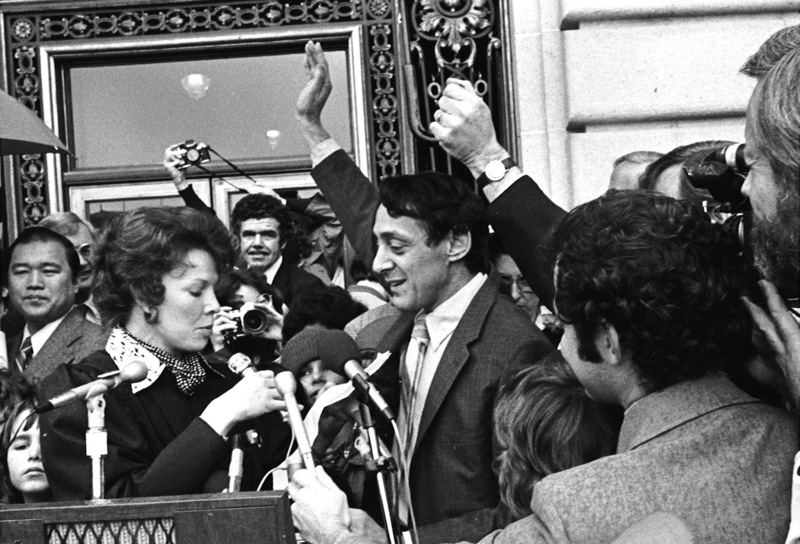 Harvey Milk is sworn in as a supervisor on the San Francisco City-County Board. In 1977, Harvey Milk, known as the "Mayor of Castro Street," won a seat on the San Francisco City-County Board. He was inaugurated today, January 9, in 1978, becoming the city's first out gay leader, as well as one of the first openly gay individuals to be elected to office in the United States. Milk's swearing-in made national headlines, as he became the first non-incumbent out gay man in the United States to win an election for public office. He likened himself to pioneering African American baseball player Jackie Robinson and walked to City Hall arm in arm with his partner Jack Lira, stating "You can stand around and throw bricks at Silly Hall or you can take it over. Well, here we are." Supervisor Dan White, a former police officer and firefighter, was also a first-time supervisor sworn in the same day. In one controversy early in his term, Milk agreed with fellow Supervisor Dan White, whose district was located two miles south of the Castro, that a mental health facility for troubled adolescents should not be placed there. After Milk learned more about the facility, he decided to switch his vote, ensuring White's loss on the issue—a particularly poignant cause that White championed while campaigning. White did not forget it. He opposed every initiative and issue Milk supported.